You could say that I'm genuinely a happy guy. I went through some tough times last year, but you would never know it from reading my blog, which I felt should be dedicated to positive things in life. Obviously, apart from my family, something that makes me happy is food. And becoming a food blogger has given me the opportunity to be surrounded by delicious food on a consistent basis. Is there any question why I'm so happy? A few months back, I had the opportunity to dine at a restaurant that offered me Happiness in a bowl. My constant pursuit of happiness made it impossible for me to decline such an invitation. 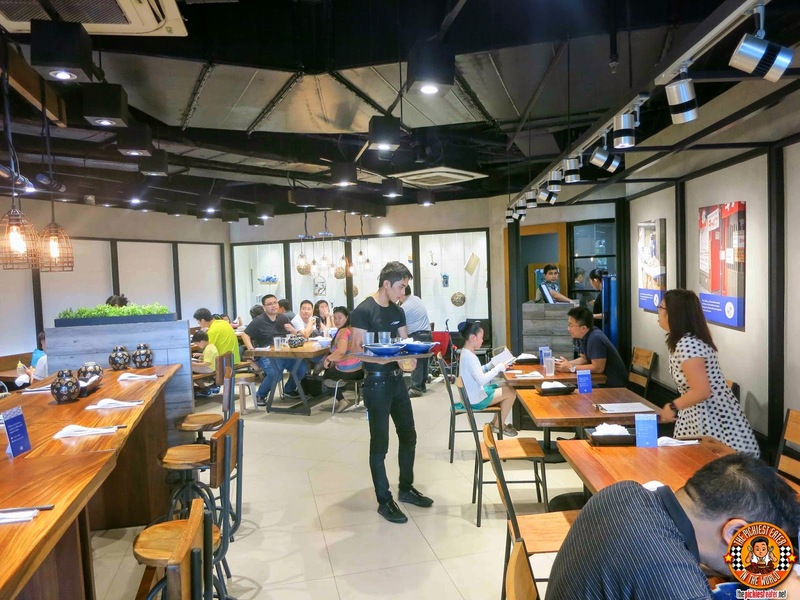 A few days later, Rina and I, joined by my other food blogger friends, made our way to Trinoma, to find our happiness at Hanamaruken Ramen. 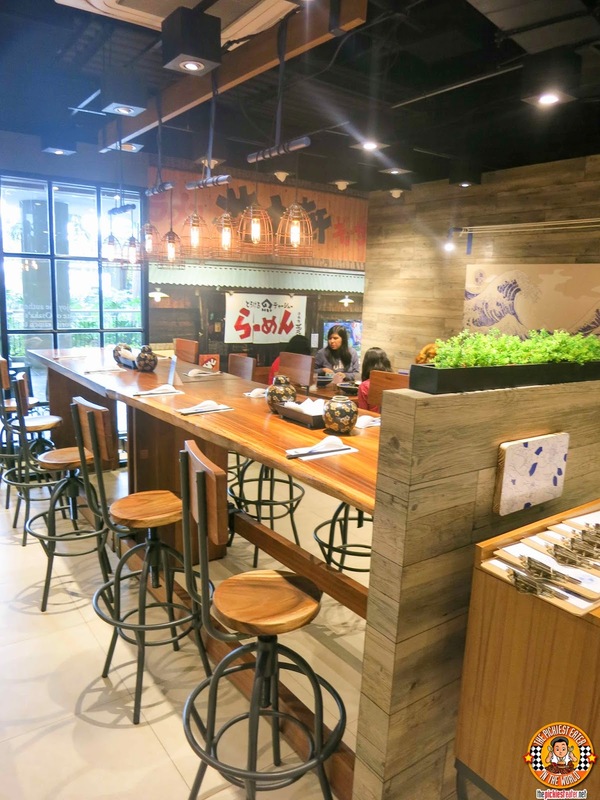 Hanamaruken is one of those restaurants that feels that the ambiance is essential to your dining experience. The wooden meets industrial theme takes you away from the hustle and bustle of your every day life in the Philippines, and for a few minutes, you're offered a little tranquility.. A single, solitary moment of happiness. 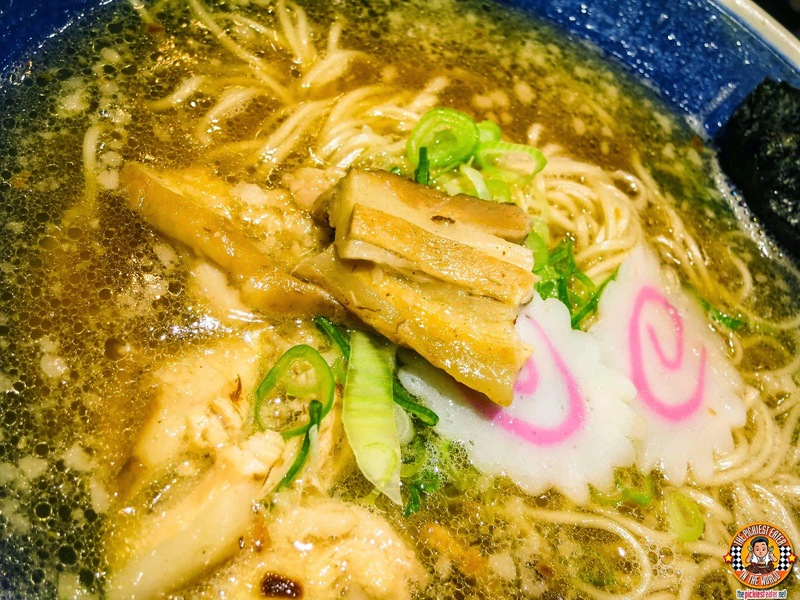 I'm not expert in Ramen, but I've come to believe that a good bowl of Ramen begins with its broth. 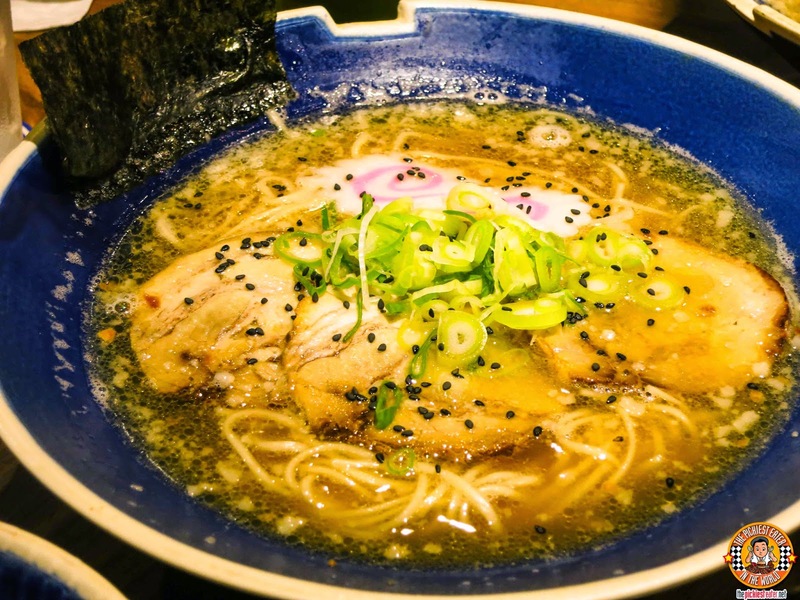 Thankfully, the Shoyo Tonkotsu broth was delicious and had a gentle flavor that allowed for the toppings added on to shine. When partnered with the ramen noodles, which I noticed were the thinner than the norm, it made for some darn good Ramen. 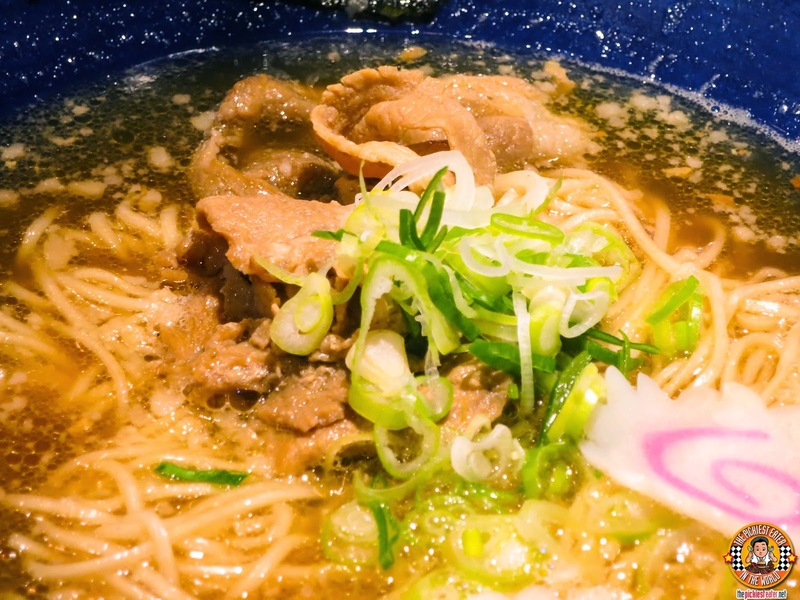 Some of Hanamaruken's Ramen dishes using the Shoyo Tonkotsu broth are..
Chasyu Ramen (P280) - Also Pork Belly, but the meat is braised this time, instead of Roasted. Both were good, but I preferred the Pot Belly. If you are looking for Ramen that is packed with flavor, then perhaps you should go for the Curry Tan Tan Mien (P380). This had a smooth sweetness that tantalized my palate, and made me crave for one scoop after another. 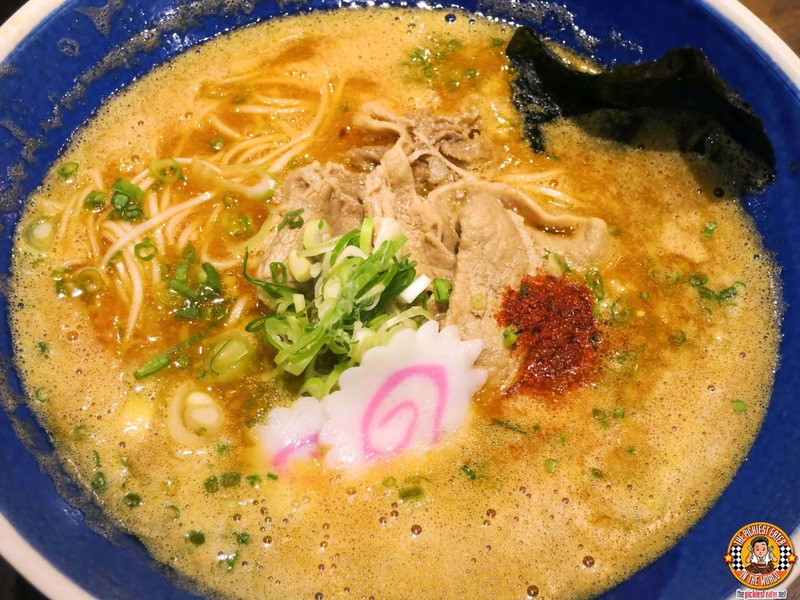 If you have a high tolerance for heat, then you definitely should try the Spicy Tobanjan Ramen (P300). I took one sip before thinking that I had just swallowed the sun. And if it isn't enough for you, fear not, because they added a small smearing of extra chili paste for your spicy pleasure. 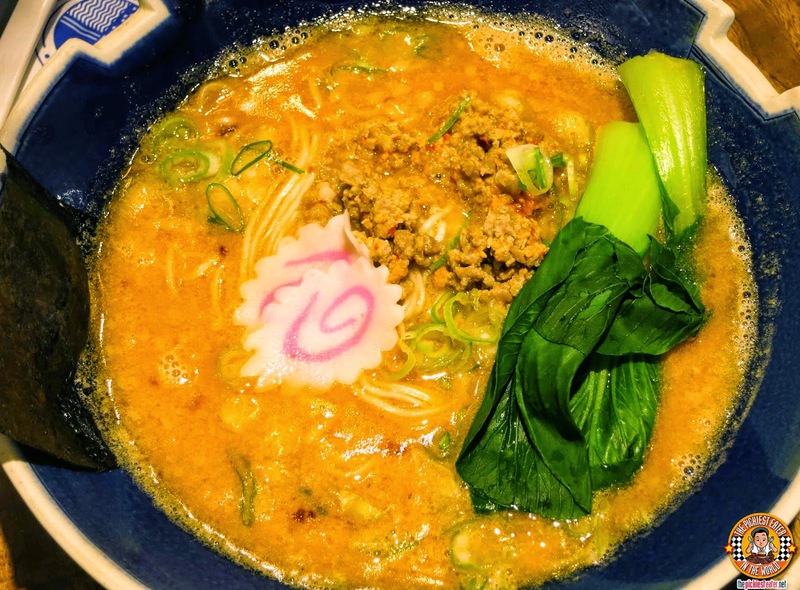 The whole concept of Hanamaruken's "Happiness", stems from this dish.. Hanmaruken's Signature Happiness Ramen (P480). 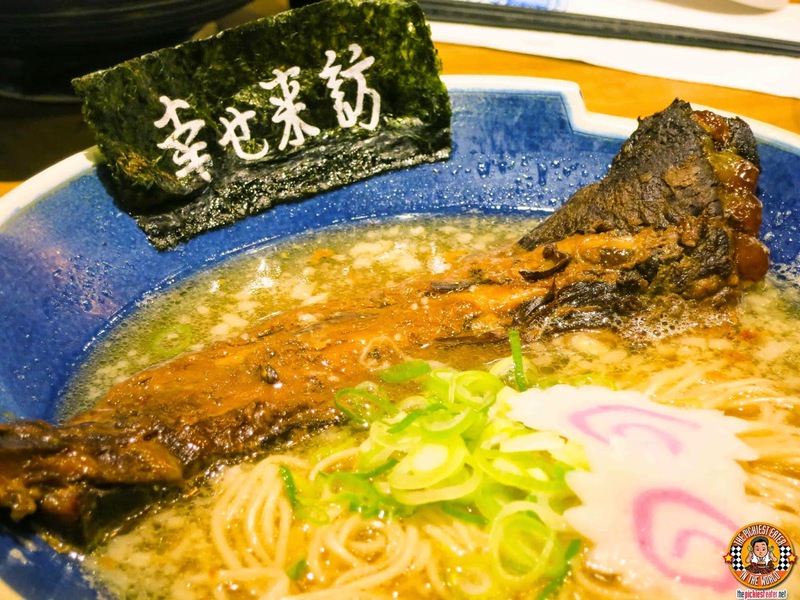 The Ramen uses the Shoyo Tonkotsu broth from the earlier dishes, but perched on top, looking like the Battleship of All Possible Ramen Toppings, is a slab of slow cooked Pork Rib. 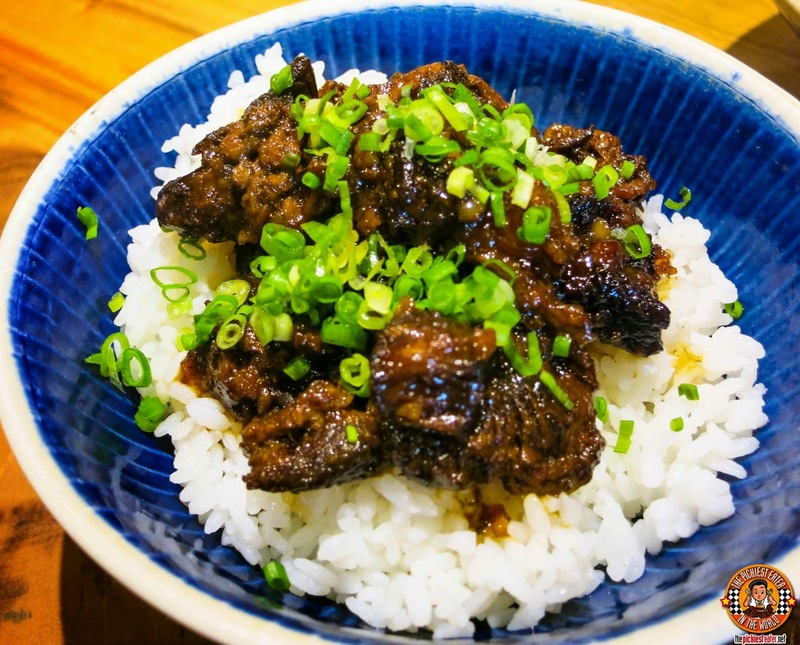 I think its safe to say that this is the most in-demand dish of Hanamaruken, especially considering the dish is limited to only 20 bowls a day. The Rib itself is remarkable. 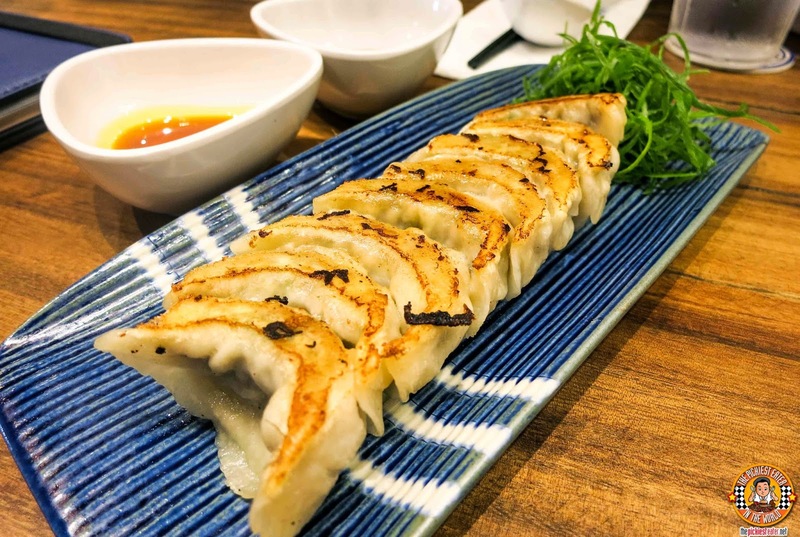 You can easily slice through this using your chopsticks (Mr. Miyagi would be so proud). The Rib was so delicious, I couldn't help but wonder what it would taste like with a scoop of rice. Thankfully, I didn't have to wonder too long. The Happiness Rice Bowl (P250) is also available! And guess what? I liked it even more than the Ramen! 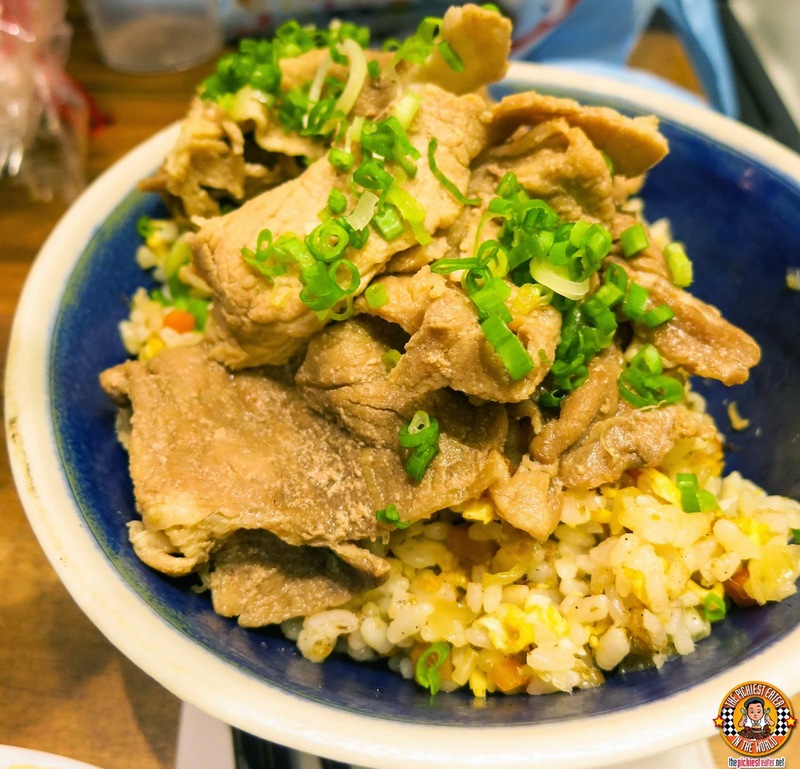 The Salary Man Chahan (P225) features delicious Pork Shoulder topped over a bowl of delicious, buttery fried rice. Like I said, I find Pork Shoulder a bit too lean, but I couldn't help myself with this was, as it it wasn't dry, despite what it may have seemed initially. 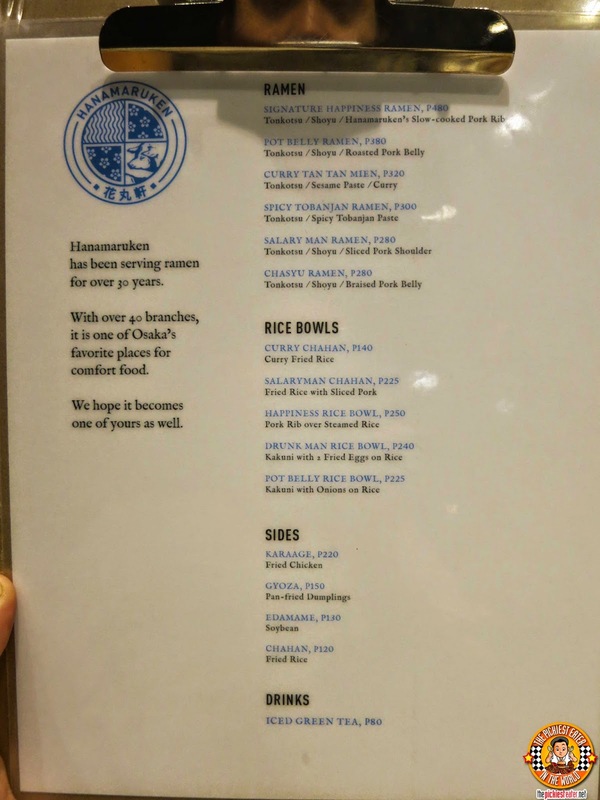 My Favorite rice meal was the Drunk Man Rice Bowl (P240). This was square cuts of glazed pork, served with fried egg on a bowl of rice. 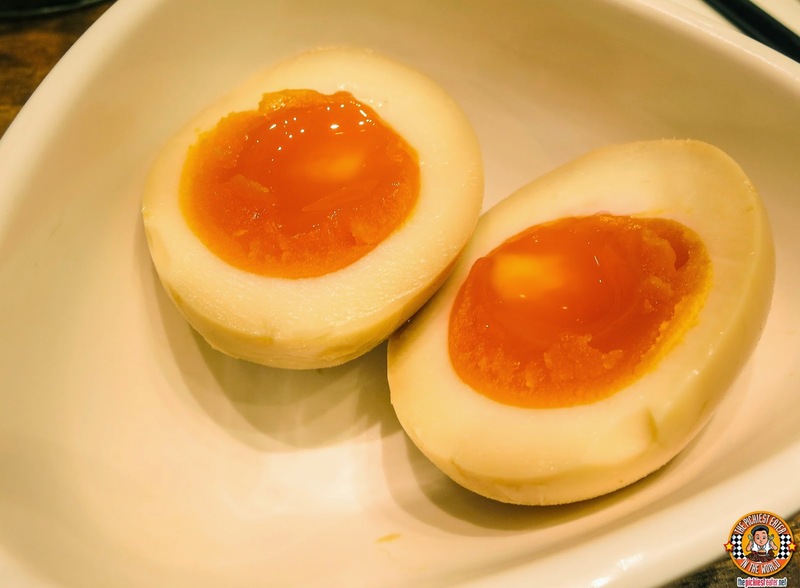 The meat had a nice sweetness to it, while the creaminess of the egg served as a nice counter to the heat brought in by the minced chilis. Drunk or sober, I would definitely order this! 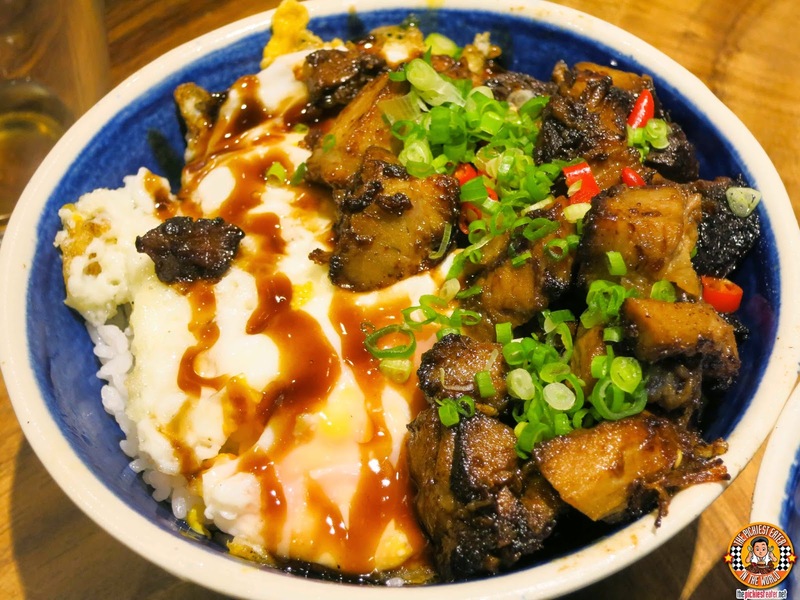 The Pot Belly Rice Bowl (P225) is also another alternative, which is rather similar to the Drunkman, but sans the egg. Trust me, go with the Drunk Man! I came in looking for some Happiness in my ramen, instead I found it in the rice meals. 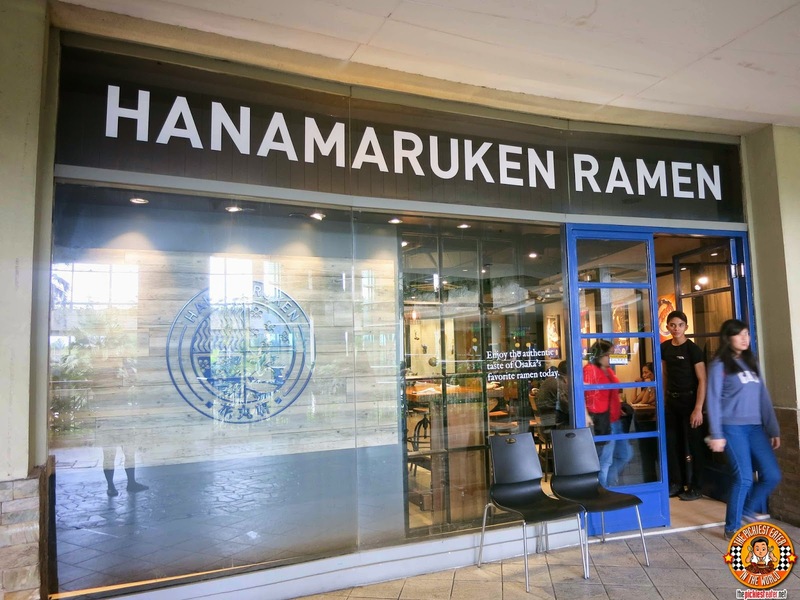 This isn't to say that Hanamaruken doesn't have very good Ramen, but to me, it was the Rice meals that really stood out.